Darron has extensive experience in leading and growing IT companies that specialize in security & analytics software & services. Prior to his CEO role at Device Authority, Darron was CEO of AppSense, a global software company, where he was responsible for driving the global growth of the company by entering and expanding into new markets, while delivering new and innovative products that are helping companies transform their workspace management initiatives. During his tenure, Darron guided the company to a 270% increase in revenues to more than $100M, expanded the company globally, increased global headcount by more than 300% and helped AppSense raise a $70M investment round from Goldman Sachs. Additionally, Darron led the strategic acquisition of mobile player RAPsphere, a vital component to AppSense’s portfolio of workspace solutions. Prior to AppSense, Darron was CEO of leading Information Security Services company Vistorm, which was acquired by EDS. 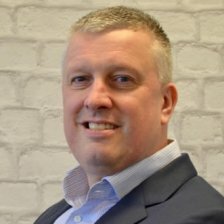 Previous to this Darron Managing Director of Ultima Business Solutions, an IT & security services company, and a Sales Director at Digital Equipment Company.